from 8:00 a.m. - 2:00 p.m. The Yard Sale is at Hunters Creek! 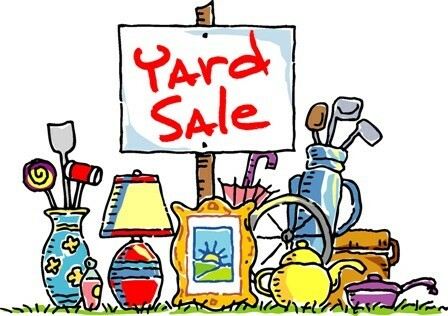 We are collecting items suitable for our Yard Sale which is to be held on Saturday, May 4th. 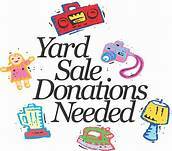 If you have any items which you would like to donate please bring them to the Church by May 3rd, or to the Yard Sale location early on the day of the event. Thank you.